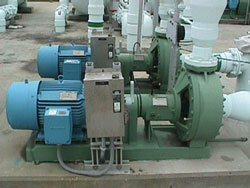 We pride ourselves at providing quick and economical responses to all your pump needs. We are a full service company providing complete pump system design, in-house service, field service, and pump system parts, with the fastest response time in the industry. Emergency pump repair service available 24 hours a day, 7 days a week. We repair pumps in Our Shop in Largo, Florida. Coastal Service and Supply Inc. is a full service generator and pump repair facility with electronically dispatched, factory certified technicians. Call us for more information about our custom dynamic balancing services and our other capabilities! We install and service generators for commercial, industrial, utility and emergency needs. Sales and service is provided for a variety of stand by generator manufacturers. We offer fast on site generator repair and installations. Our technicians are equipped with State-of-the-Art technology. 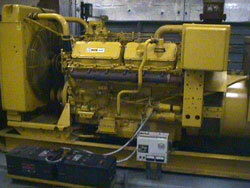 We can work on all major generator brands. Generators may be repaired in our shop in Largo, Florida, or in the field. AC Spetz - The Bald Guy, President and Founder. 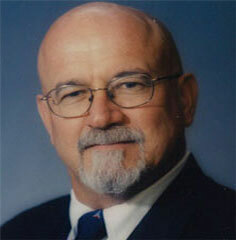 Mr. Spetz has been associated with the industry over forty years from Alaska to the Caribbean. His interest in the industry dates back to early grade school. 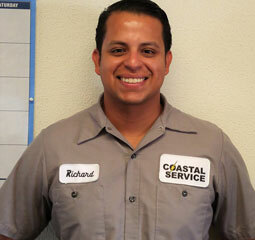 Richard Andaluz, Pump Division Service Writer with Coastal Service since 2014. 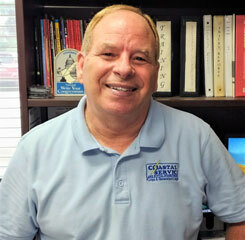 Richard is a U.S Army veteran in charge of creating repair estimates for domestic booster and electric fire pumps. He is dedicated to providing quality parts as well as excellent customer service. Dan Pudelwitts , Service Supervisor since 2005. Dan has been overseeing daily operations such as scheduling, customer service, lead estimate writer as well as securing electro mechanical parts for emergency generators, domestic water pump sets, and fire pumps. Bryce Jennings is the company crew leader. 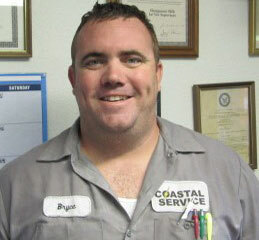 Bryce is a graduate of the Engine City Technical Institute and a certified GE Automatic Transfer Switch Technician. Certified in Engine Controls, he leads our team in training, and repairs engines, generators, and automatic transfer panels. We provide sales and service for industrial style generators, fire pumps, domestic booster systems, cooling tower pumps, and controls. Our preventive maintenance programs offer a variety of specialized services and maintenance logs for their equipment. We offer service agreements and discounts for our contract customers which include flexible scheduling, 10% discount on all repairs, and reduced billing for our 24 hour emergency service. Coastal Service and Supply Inc., is constantly setting a higher standard within the industrial generator and pump industry. We are members of the many professional and trade organizations.